LAS VEGAS, NV--(Marketwire - January 5, 2011) - CES 2011 -- NVIDIA today announced the GeForce® 500M series of notebook graphics processing units (GPUs), designed to power laptops featuring next-generation Intel Core CPUs (Sandy Bridge). Acer, Alienware, ASUS, Clevo, Dell, Fujitsu, Lenovo, Medion, MSI, Samsung, Toshiba and others announced GeForce 500M-based systems at CES this year, and represent a fraction of the over 200 design wins from leading notebook manufacturers for GeForce 500M GPUs. For more information on GeForce 500M Series GPUs, please visit www.nvidia.com. Certain statements in this press release including, but not limited to statements as to: the benefits, features and impact of the NVIDIA GeForce 500M series GPUs and NVIDIA Optimus technology; and the effects of the company's patents on modern computing are forward-looking statements that are subject to risks and uncertainties that could cause results to be materially different than expectations. Important factors that could cause actual results to differ materially include: global economic conditions; our reliance on third parties to manufacture, assemble, package and test our products; the impact of technological development and competition; development of faster or more efficient technology; design, manufacturing or software defects; changes in consumer preferences or demands; changes in industry standards and interfaces; unexpected loss of performance of our products or technologies when integrated into systems; as well as other factors detailed from time to time in the reports NVIDIA files with the Securities and Exchange Commission, or SEC, including its Form 10-Q for the fiscal period ended October 31, 2010. Copies of reports filed with the SEC are posted on the company's website and are available from NVIDIA without charge. These forward-looking statements are not guarantees of future performance and speak only as of the date hereof, and, except as required by law, NVIDIA disclaims any obligation to update these forward-looking statements to reflect future events or circumstances. © 2011 NVIDIA Corporation. All rights reserved. 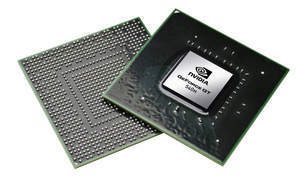 NVIDIA and the NVIDIA logo, 3DTV Play, 3D Vision, CUDA, GeForce, Optimus, PhysX, and Verde are trademarks and/or registered trademarks of NVIDIA Corporation in the U.S. and other countries. Other company and product names may be trademarks of the respective companies with which they are associated. Features, pricing, availability, and specifications are subject to change without notice. 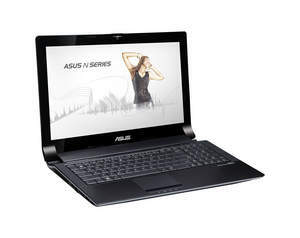 The GeForce GT 540M GPU brings DirectX 11 done right to the Asus N53SV notebook, with up to twice the DirectX 11 performance of competing GPUs. 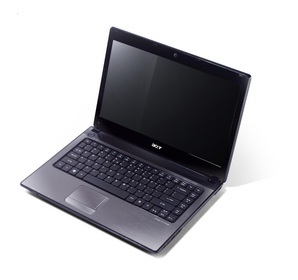 NVIDIA Optimus Technology featured in the Acer Aspire 4741G notebook has quickly established itself as a must have feature. 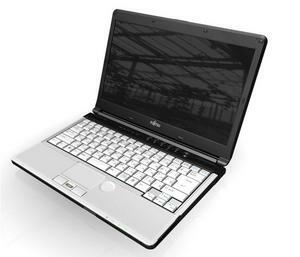 The Fujitsu LifeBook S761 notebook delivers 2X the performance of integrated graphics and long battery with GeForce GT 520M GPUs and NVIDIA Optimus technology. GeForce 500M Series of GPUs have the differentiated features that only GeForce GPUs offer, such as support for Optimus, CUDA, PhysX, 3D Vision, and 3D TV Play.